Perfume oils have a sweet lingering aroma. The fine, delicate complexity of the essential oils used in these fragrances creates an all pervasive pleasant mood. 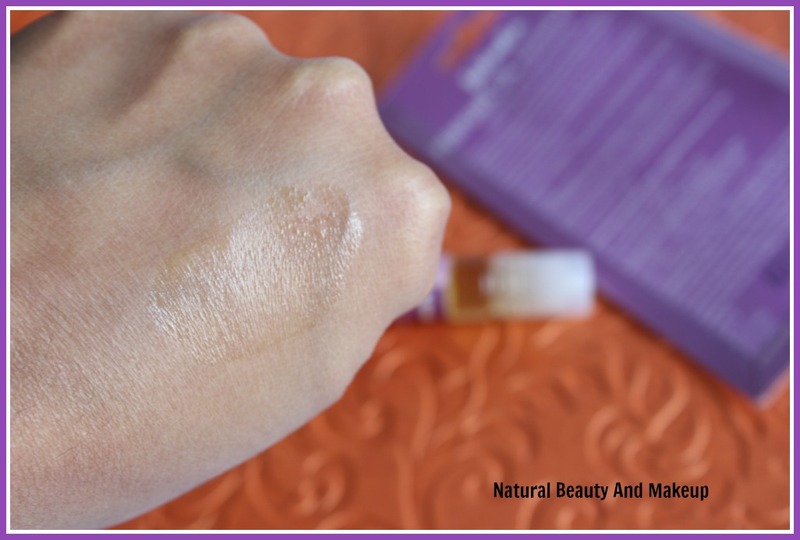 These oils are free from paraffins, phthalates and harmful chemicals and so are safe to use. To ensure the longevity of the natural perfume, store it in a cool dark place. The perfume oil comes with a handy roll on applicator and can be conveniently tucked into the purse or pocket for touch ups throughout the day. Arabian Jasmine: One of the most fragrant flowers, Arabian Jasmine or Mogra is known for its rejuvenating and energising effects. 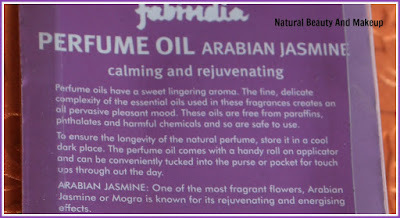 Fragrance Type: Arabian Jasmine or Mogra. Shelf Life: Use before 36 months from the date of MFG. The product comes encased in a lavender coloured cardboard packaging, where all the necessary details are mentioned. Arabic Jasmine perfume oil comes in a cute, translucent, slender bottle and it's designed with a roll-on applicator. 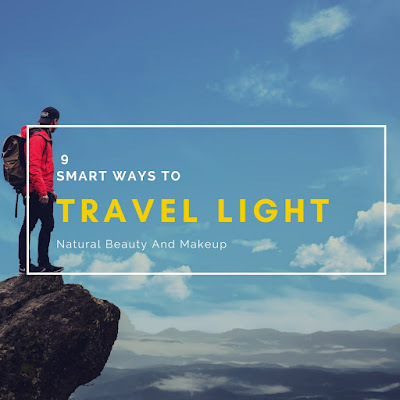 Because of these features, it is handy, easy to carry along and can be applied anywhere without hesitation. 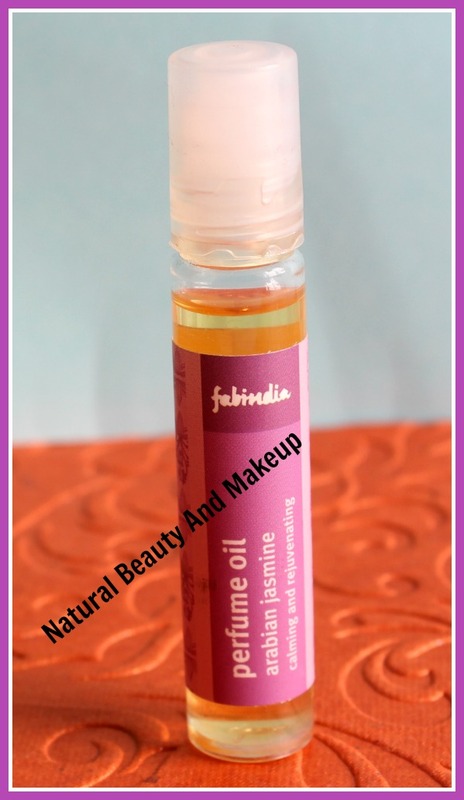 Perfume oils are generally more concentrated than spray perfumes. This particular fragrance oil is transparent and is heavenly scented. The texture is much similar to the essential oils and when applied sinks into the skin instantly releasing amazing floral aroma! 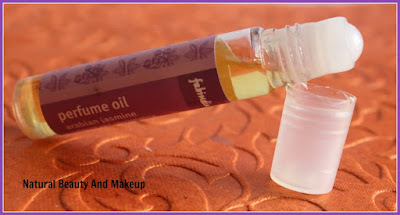 Ever since I bought this product, there has not been any single day when I hadn’t used this oil. It is THAT great 😍 Frankly, I am not a perfume addicted person. 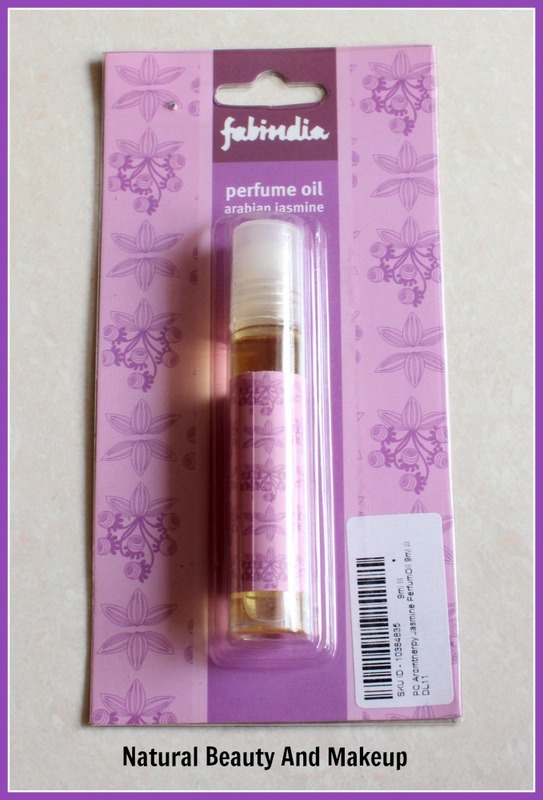 To me, perfume sprays are for occasions only but perfume oils are for regular use. Simply because they are less harmful, filled with pure essence, refreshes my mind and helps lift my mood instantly. Arabic Jasmine Perfume oil is a refreshing sweet floral fragrance oil which has that power to rejuvenate your mind and soul instantly. Fabindia has multiple options in their perfume oil range, so select your fragrance according to your preference. 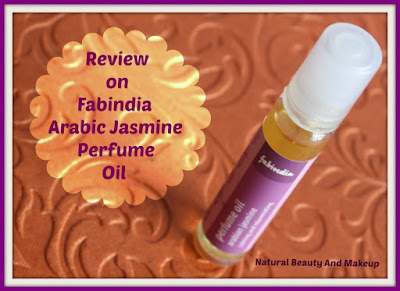 Have You Ever Tried Fabindia Arabic Jasmine Perfume Oil? If Yes Then Please Share With Me In The Comment Section Below. I love Jasmine smell and this sounds amazing. 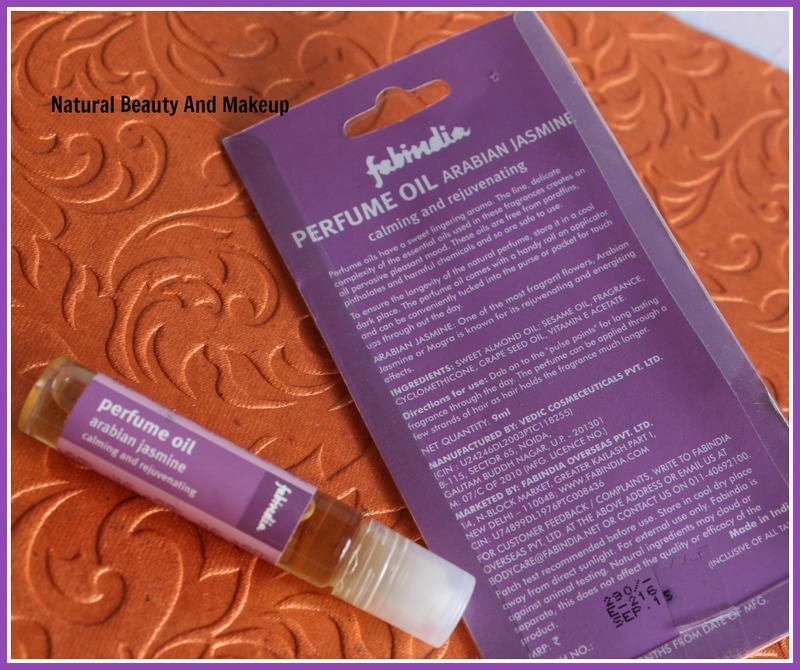 would love to try perfume oil :) Lovely review! I love jasmine scents, this one looks really nice! I love perfume which are not overpowering, that way they do not bother me and others as well. Love floral ones over fruity one always. This one looks nice. Your positive review makes me curious to try it out, it sounds nice! I have used one of the Arabic perfume oil and I am really surprised about the longibility of this perfume oil. I think I could have used that one too. Thanks for sharing this review.